BRAVE, resilient and inspiring aren't usually the first words that come to mind to describe a two-year-old boy but that's exactly what Sonny Carmichael is. The Dalby boy is just like any other child - his favourite colour is yellow and he loves Mondays because he gets to see the garbage truck - but his world has been anything but normal since a shock leukaemia diagnosis in December. Within a matter of hours Sonny was airlifted from Dalby to Queensland Children's Hospital in Brisbane, where specialists diagnosed him with acute lymphoblastic leukaemia and began treatment immediately. The news for mum and dad Petrea and Kerry was every parent's biggest fear. 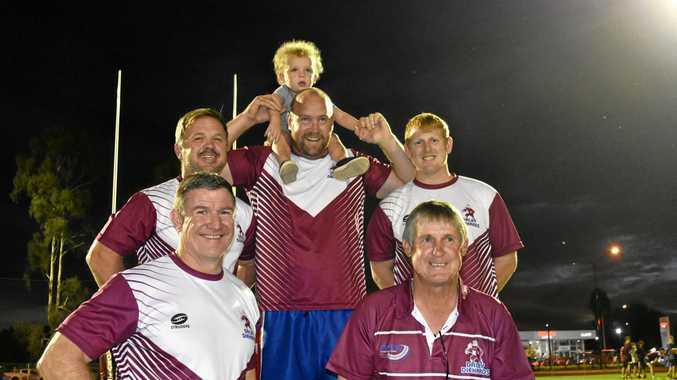 But the worst moment in their lives brought immediate support and care from a community that had always felt like family, the Dalby Diehards Rugby League Club. Mr Carmichael's former position as the A-grade coach meant the club was a huge part of their lives before the diagnosis and had become even more important in the last five months. 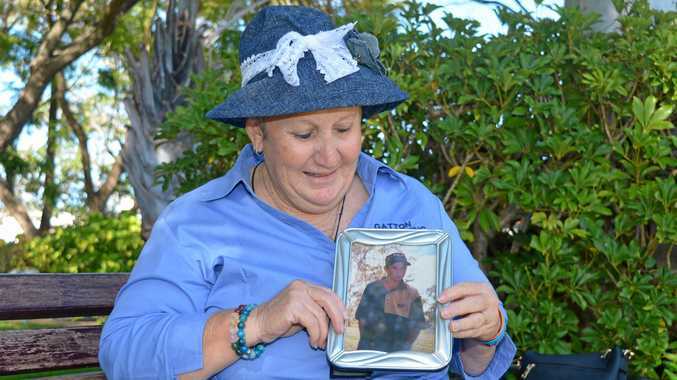 "It's just the phone calls and stuff just to say we're thinking of you," Mrs Carmichael said. "That's what we probably appreciate the most." In collaboration with their "footy family", the Carmichaels are setting gears into motion to organise a fundraiser for LifeFlight, which Mrs Carmichael says saved Sonny's life. Blond-haired and always smiling, you wouldn't know Sonny has undergone multiple rounds of chemotherapy treatment and a multitude of tests in the months since his diagnosis. "He's probably good considering what his little body is going through," Mrs Carmichael said. "It's good to be home, he's so much better at home. "We've just got to try and keep him well so that we can be at home as much as we can. It's very emotional but we've just got to stay strong." Sonny has a tough three months ahead of him now, facing intensive treatment in Brisbane. Providing results are all good, Sonny will be on a maintenance treatment program for the next three years, which will involve monthly chemotherapy and three-monthly lumbar punctures. In between weekly chemotherapy sessions, Mr and Mrs Carmichael try to spend as much time at home as they can with Sonny and his seven-year-old brother, Fynn, to keep their lives as "normal" as they can given their unique circumstances. From the experience, Mrs Carmichael wants families to know the importance of donating blood. "I remember I always used to read 'donating blood saves lives'," she said. "Well, it saved his life. "You just don't realise how things like that are so important." If it weren't for a keen motherly instinct, their GP Dr Ross Maxwell and the help of incredible hospital staff, the family may have found themselves in a more dire situation. "We knew something wasn't right, hence why we just kept going to the doctors," she said. "Just trust your gut instinct. If you think something is not right, it's probably not." "We cant thank both our families enough for their love and support over the last four months," Mr Carmichael added. "It's what keeps us going."